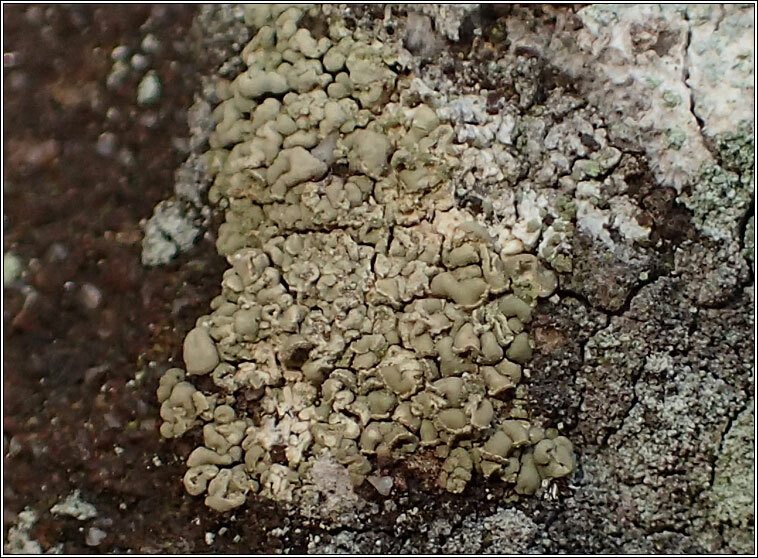 Common in drier parts of Britain and Ireland on acidic bark, wood, fences and burnt timber. 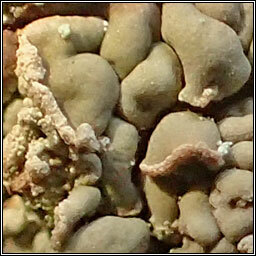 Occasional on bricks and siliceous rocks. 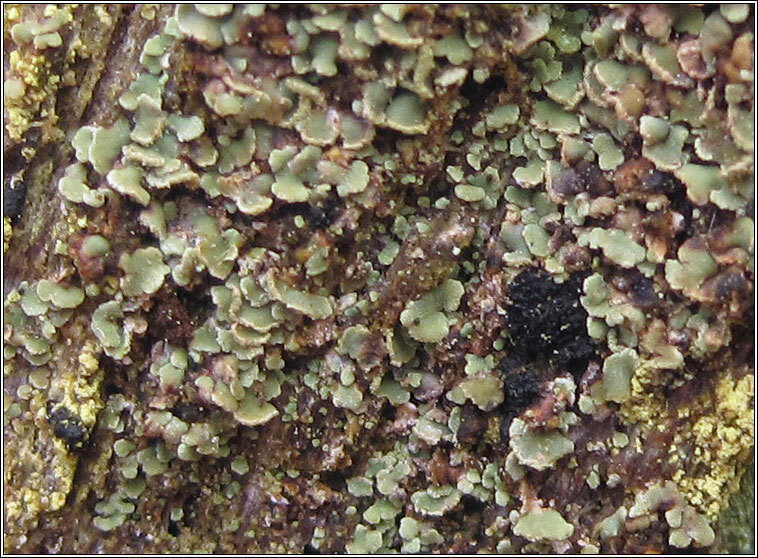 Small light greyish-brown to green-brown squamules, +/- overlapping with slightly upturned, finely sorediate margins. 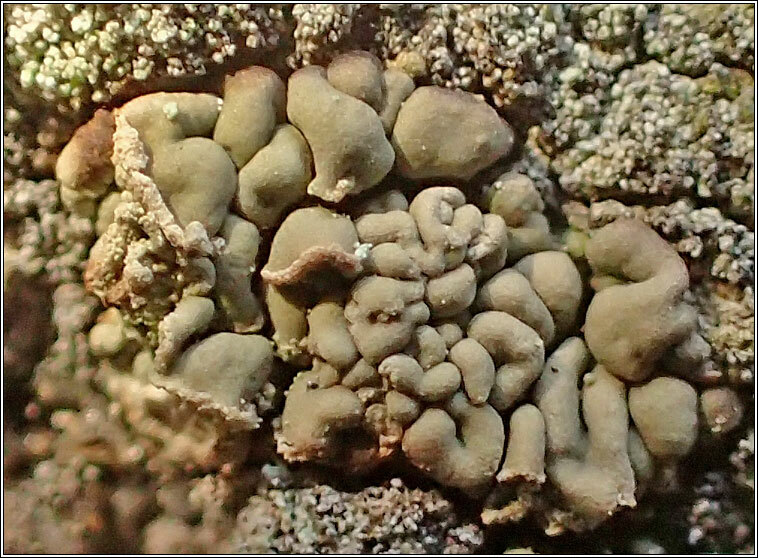 Apothecia are rare, the discs blackish with grey-blue pruina.